The frenzy of Black Friday may be over, but the savings don’t stop there! 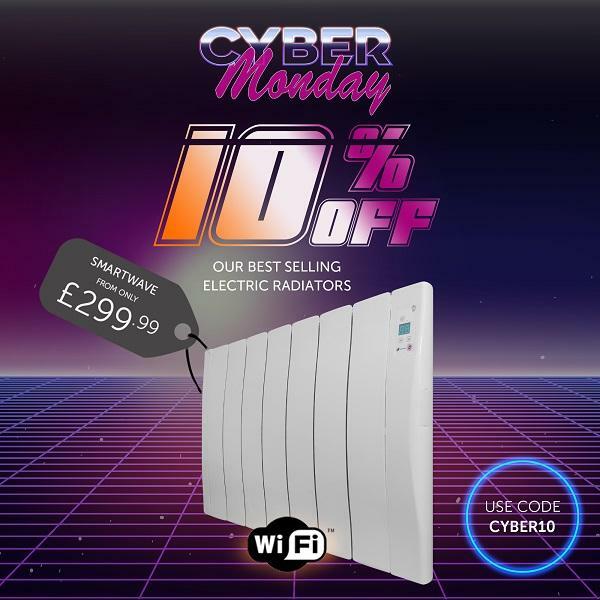 Cyber Monday is upon us and we’ve got some fantastic deals on electric radiators to overcome those Black Friday blues. Until midnight tonight, we’re offering 10% off our best-selling electric radiators, so don’t miss out. Treat yourself to the pioneering Haverland SmartWave to enjoy a new era of intelligent heating. Amidst the hustle and bustle of busy modern life, there’s little time to contemplate life’s practicalities, especially heating. The Haverland SmartWave makes sure that when the end of the working day comes and it’s time to retreat home, you will be welcomed by the perfect temperature to enjoy your evening. The Haverland SmartWave provides an effortless solution for all your heating needs, whilst being at the pinnacle of innovation and style. 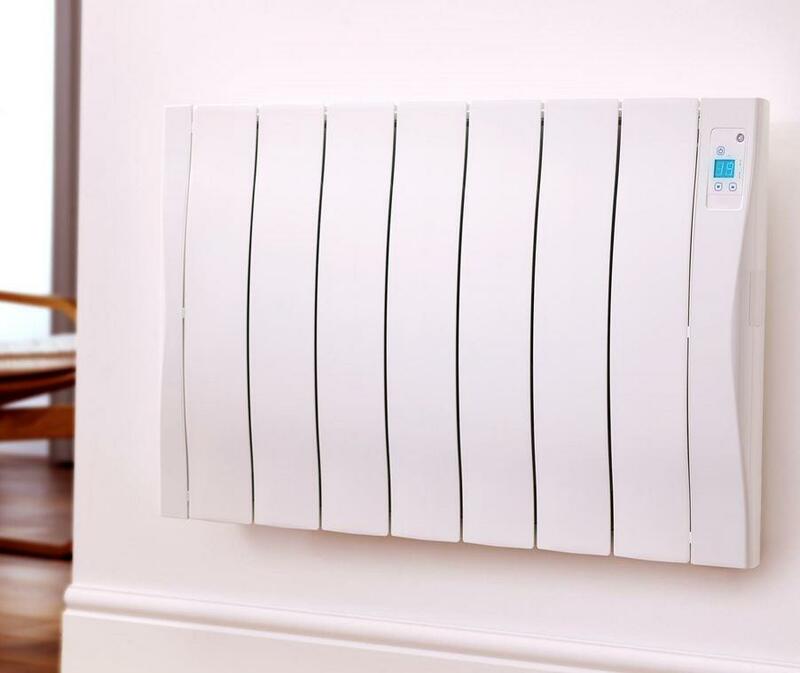 With three intuitive modes to suit every modern household, the Haverland SmartWave is among the best electric radiators on the market. It features innovative technology that breaks the barriers of heating norms by ingeniously monitoring your weekly routine through its in-built motion sensor, to form a bespoke schedule that perfectly complements your needs. So, if you’re a creature of habit, the self-learning mode is the answer. Don’t worry if you have fluctuating schedules though, as the sensor mode recognises when the room is occupied and heats accordingly, offering the ultimate flexibility in your heating. For the more ‘hands-on’ amongst us, when purchased with the SmartBox WiFi Hub, the WiFi control mode provides the convenience of full heating mastery from the palm of your hand. So, whatever your heating requirements, The Haverland SmartWave provides you with the versatility that you need. The Haverland SmartWave’s ingenious nature doesn’t stop there – it’s Alexa-enabled. This allows voice-controlled heating without you having to so much as lift a finger! Householders in the UK waste more than £2.2 billion a year on unnecessary heating, so when the inevitable happens, and something unexpected crops up, don’t fall victim to the norm – just let your heating know. The cutting-edge technology of the Haverland SmartWave puts the power quite literally in your hands. The Haverland Heating app features an energy monitor to provide you with straightforward visibility of your usage, when and where you need it. Cast your eyes over the statistics to see where you could be even more resourceful – benefitting your purse and the planet alike. No longer will you dread your incoming heating bill – with simple tracking and ease of control, you know exactly where you stand. As the days draw in sooner and the chilly temperatures arrive, summer is but a fond memory. Too often, coupled with summer blues, is the dread of heightened winter bills. With its competitive price tag and ability to save you precious pennies for years to come, there’s no time like the present. Starting from just £299.99, the Haverland SmartWave’s intelligent settings will effortlessly shrink your energy usage – as well as those inflated bills. The Haverland SmartWave is exclusive to Electric Radiators Direct so there’s no need to expend precious time shopping around. With free next working day delivery, you can make the decision today and enjoy the savings tomorrow. The icing on the cake? Use code CYBER10 at checkout for an extra 10% off. The offer must end at midnight tonight, so what are you waiting for? The Haverland SmartWave is your ticket to effortlessly sophisticated heating. We have a wide range of electric radiators, panel heaters and electric towel rails too. So, whatever your heating requirements, Electric Radiators Direct have the smart and efficient solution for you.